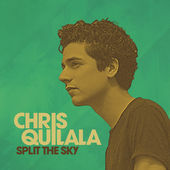 With the release of his debut solo project, “Split the Sky” veteran Jesus Culture worship leader Chris Quilala revives 80s style electronic beats and synth sounds while producing theologically sound songs. From its beginning notes, “Split the Sky” has a very ethereal feel, mimicking the charismatic Christian contemporary sounds of worship giants like Jesus Culture and Hillsong. The album features several standout cuts including a retro-80s feeling collaboration with Kari Jobe titled “Surrendered,” complete with drum machine beats and a keyboard riff reminiscent of 80s giant Jan Hammer. “After My Heart” paints a picture of God’s pursuit of the believer. God catches those He pursues and proves faithful to those who love Him. “Because of Your Love” is another good song with a steady beat and ethereal synthesizer sound supporting rich lyrics. Lyrically, it is perhaps my favorite song. “The Length of the Cross” is another solid track, with a danceable Depeche Mode feel to it. Chris is faithful in his personal time with God and credits that time being instrumental in helping him flesh out the songs he is working on. A member of Jesus Culture since age 14, Chris’ love for the Lord shines through on each song, and it is evident he has a passion for the presence and power of God. His songs encourage, refresh and strengthen the church. The 33-year old and his wife Alyssa have four beautiful four beautiful children, Ella, Aria, Jethro (born December 3rd, 2014 and with the Lord) and their newest addition, Liv. In addition to his work with Jesus Culture, Chris has led worship at Bethel Church and a number of youth conferences.